Thunderbolt LTE Speed Tests Are Rolling In - How Fast Are Yours? Today is finally the day. 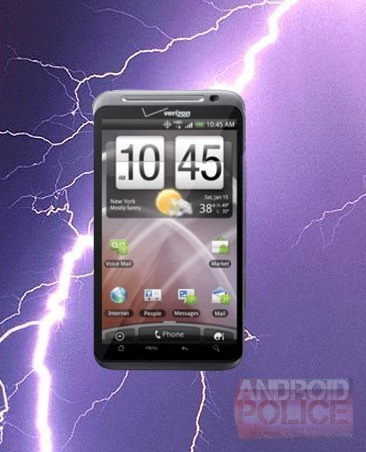 The Thunderbolt has arrived and you have your shiny new toys in your hands. You just might be enjoying data speeds that some Wi-Fi connections would envy. We went poking around a little and found some impressive results floating around the web already (and we also want to know what kinds of speeds you are getting). First, one big thing to keep in mind with all that you have heard about Thunderbolt LTE speeds is that the Speedtest.net app, commonly the first way to easily test data speeds, isn't working properly with the Thunderbolt. Download speeds seem to record accurately, but upload speeds are way off (leading some to believe that they are actually getting 40 Mbps uploads - this is incorrect). "My median speed on AT&T’s HSPA+ network was 2.16 Mbps down / 0.16 up / 171ms Latency (WiFi Hotspot mode)." "My median speed on Verizon’s LTE network was 8.85 Mbps down / 3.68 up / 54ms Latency (WiFi Hotspot mode)." The folks over at PhoneArena did some testing with the Thunderbolt and found they were getting around 5-7 Mbps downloads. 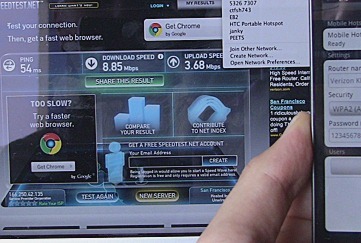 Abelavista reported a range of download speeds between 4 Mbps and 13 Mbps. The folks over at Phandroid grabbed downloads ranging from 11.71 Mbps all the way up to 24.46 Mbps. Some of these speeds appear to be in the same ballpark as WiMax, while some are clocking in much higher - but one thing that has been consistent is that the latency of LTE appears to be the lowest of any "4G" network in the nation. Also LTE reportedly handles a smooth hand-off between 4G and 3G when LTE drops out (as opposed to the hand-off on Sprint's WiMax, which I can attest can leave you without any service at all for an annoying length of time when switching back to 3G). If you are one of the lucky early adopters, do a little speed testing for us, will you? You can let us know in the comments or (if you really want to eliminate any doubts) link to a Speed Test image in the comments. The best way to record said test would probably be to tether your T-bolt to a laptop or desktop. Then go to speedtest.net in a browser, put it through the paces and grab a screenshot. Then you can upload it to imgur.com (or any image hosting for that matter) and link to it in the comments. If you use the Android speedtest.net app, please only share your download speeds. Also please note what method you used to record the speeds, as well as your location (LTE users only please).